Make This A Breakthrough Year! You are your most precious asset and investing in yourself via coaching, education, self-care, and other proactive services and resources facilitate increasing your income, being more effective, having more rewarding work, improving your health and having a more satisfying and fulfilling life. Keeping you clear and focused on your goals and direction. Strategizing your actions – so that you always know exactly what you need week in and week out to achieve your goals. Upgrading your skills – so that you can carry out your plan with confidence and certainty. Having strong skills speeds up the process. We’ll find out what skills will help you the most and work together to improve them. Optimizing Your Environment – So that there are fewer distractions and so that achieving your goals becomes effortless. Mastering Your Psychology – to overcome any fears, doubts, limiting beliefs, or insecurities that might be holding you back. Design Your Life workbook included: Take stock of where you are, discover your true purpose, craft a vision of what you want to create, strategically map out how you will achieve that and troubleshoot obstacles so you can keep making forward progress. All coaching packages include email and brief phone calls between scheduled sessions for some “spot” coaching or to share a “win”, as well as access to resources and materials for reflection to keep you moving toward your exceptional life. Coaching available both in person and by phone. If you live in or near Eugene, OR in-person sessions can be arranged. $750 This package is perfect if you don’t have the available cash or credit to pay for any of the bigger packages or the coaching you will need falls in between the package sizes. $3500 This program is perfect to do some soul searching and decide what’s truly important in your life and in your career. You will take stock of where you are, dig deep and explore powerful questions that are designed to help you identify what is most valuable to you, clarify your purpose or mission, draft a 3-5 year vision including career direction and Critical Criteria. This can include retirement direction/planning. We then map out how you will get there then begin the implementation of that plan. Payment plans available. 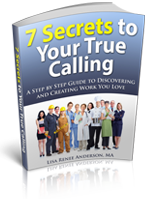 This package is perfect for those who want to see swift and life-changing transformation in their lives and careers and appreciate the extra support, guidance and accountability. $6500 Core Themes is a comprehensive, rigorous, logical and proven 4 phase program developed over 30 years with thousands of professionals providing an in-depth examination of you and what makes you tick, personally and professionally. This life-changing process includes 12 carefully selected tests to help you better understand yourself. We them spend many hours in one-on-one discussion to help you determine your unique Core Themes: those essential values, needs and interests that define you. Payment plans available. Attending a complimentary Your True Calling Strategy session or Living Your Authentic Life Strategy session will give you access to a special incentive price. 6 hours of individual Job Search in the 21st Century coaching to be spent in increments of 30, 45 or 60 minutes (e.g. 3 one hour, 2 forty-five minute and 3 thirty minute sessions). What’s on your back burner that you’d like to move to the front? If you want different results this year then this group is for you! Get fresh ideas, inspiration and constructive feedback! Design your life with intention and awareness! Have the support and accountability to follow through on your dreams! Bonus #3: Bring a friend and save $50 for yourself, your friend or you can split it.